Columbus named this beautiful island, “St. Martin” or Sint Maarten (Dutch spelling) after the feast day of the same name, because he discovered the island on that day. 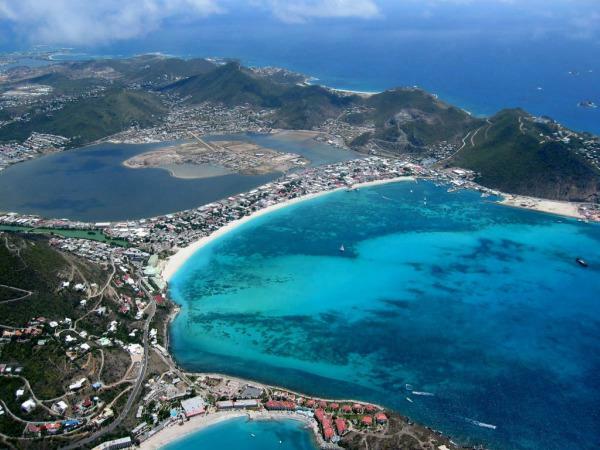 For St. Martin, there are 39 beaches total. Locals like to brag that there’s “at least one for each of the square miles that make up this Caribbean paradise!” It’s 37 square miles. But believe it or not, a lot of beach real estate on this island has been lost to the blade of bulldozers. Some call it progress. Here’s the feel of St. Martin: It has a large reputation for partying, grand hotels and unique restaurants. But the whole island is about the size of Washington D.C. What’s more – the island is split between two powers: France and the Netherlands. So if you’re looking for the sleepy Caribbean island of St. Martin – you’re in for a shock. 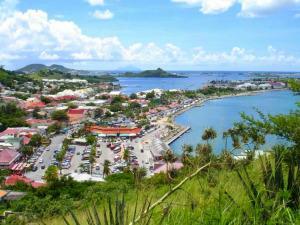 The island is a virtual Duty-free shopping mall, complete with several cruise ships making downtown Philipsburg crowded and difficult to navigate. If you want to get away from it all – St. Martin is not a good choice. That said, St. Martin still attracts the crowds; many possibly wanting the feel of the Caribbean with a dash of Las Vegas tossed in. If you like it busy, get some additional info on St. Martin because this is your island. You’ll find the French side toned down. But, they’ve been busy even there – new hotels opening and some nice shopping. However, the glitz of nightlife, cruise-ships, sights and sounds won’t be found. Enjoy the peace and many fine restaurants on this side. If you really want to get around and experience the island – rent a car. But you can’t get one at the airport. Thank the taxi drivers’ union for a law that has rental car agencies dropping the car off and paperwork at your hotel. And now, off to the beaches! Most people come here to experience the white sand and turquoise waters. Let’s count down the top three beaches and then, since there are so many, list the other runner-ups; beaches that are right up there with the best of the Caribbean.